When Mr. and Mrs. Makau discovered their 5-year-old son had an intellectual disability, they were devastated. Little did they know John would one day lead their family, and many others too. 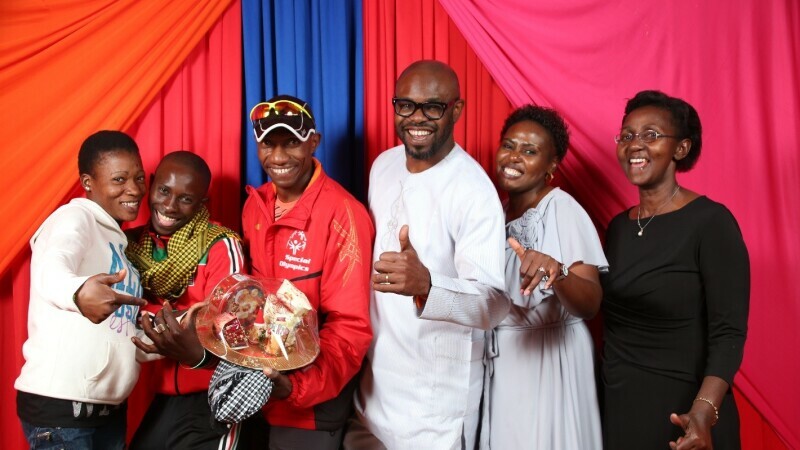 When John joined Special Olympics in Kenya, he thrived under the love, dignity and care of his team mates and coaches. This sense of belonging allowed him to discover his talent in both sports and leadership. Today, he motivates and mentors other athletes in his club. Participating in the 2017 World Winter Games is the highest achievement for him: “I have attained my life goal in sports,” John says. He is excited to meet new people, make new friends and develop his sports skills in Floor Hockey further. “I am looking forward to sharing my new experiences with my training partners when I return from the World Games,” he says. Last year, John Makau was selected by Microsoft as one of the Mission 3000 athletes participating in the Austria Winter Games that they would personally encourage and support. After only one year of athlete leadership training, he gave a high-profile speech at Microsoft Kenya’s end-of-year party on 16 December. He inspired his listeners with the theme ‘going beyond your limitations’. He encouraged the audience by saying that he has learnt to appreciate himself with his disability, and that through sports he has also learnt that he is has the ability to many other things. He shared his experience since joining Special Olympics Kenya and how it has transformed his life, and given him the confidence he never had. Microsoft is planning to use his autographed photos from the event to raise more awareness on the sport but most importantly drum up more support for John. The team also plans to host joint training sessions with him before he leaves for Austria. Look out for John Makau, a shining light in Team Kenya!